They come from far, they come from near, the old and the young, the infirm and the diseased - all seeking succour at the Centre. How many people, how many ailments, all clamouring for help. At times just seeing the mass of huamnity waiting at the doors makes the heart sink. The need to be constantly alert, particularly at the end of a long day, takes its toll. The aged and the poor have their own insecurities, many a time a kind word, a smile is all that it takes to reduce the twin burdens of age as well as poverty - one can do nothing much about either - at best some palliation - some placebos - knowing that these medicines will not harm them. An old man walks, rather limps in. As one talks with him, I find that he is my age. Relentless poverty, a harsh environment and the daily struggle for livelihood have aged him. Clinically he has moderate to severe osteoarthritis in both the knees - we all know the cause factors - poor nutrition, overuse of joints etc. Anti-inflammatory as well as analgesics will only help him up to a certain point. Then what - knee replacement!!!! He breaks down, he has a son, who is bright and doing well in school. The boy wants to study further, the father says "who will support the family? I can not work and there needs to be food in the house". There is no answer to this conundrum. Coming to the health centre is a double whammy - loss of a day's wages (about Rs 50) as well as havng topay for the medicines (Rs 10). How does one recompense that? So many questions at all times. At times I wish I had a million bucks everyday to help out the needy but thats just a dole. Health can never improve without some improvement in the economic status of the poor. That is a big challenge which faces each and every one of us. The healthy GDP does not reflect in the lives of the poor in this country. Economic policies are possibly skewed. Yes setting up SEZs are good for the country - but why take prime fertile land? Why can not these be set up in arid "unproductive" land?? Not that any land can be considered unproductive take Ralegaon Sidhi as an example. These are just some thoughts that keep coming up in my mnd. The public forum seems an ideal place in which to share these thoughts. She has been a regular visitor the Health Centre and her smiles seem to light up the the room. She comes from a little hamlet about 30 km away, changing three buses on the way. Quite remarkable considering that she is only 10 years old and barely literate. Her parents are too poor to accompany her all the way to the health centre and therefore our instructions to her have to be very simple and straightforward. One of our most cooperative patients, she has helped us learn about fortitude and courage. 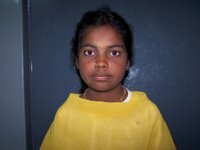 Sunita is a 11 year old girl studying in our Rural School. An alert teacher noted that she was having difficulty concentrating, falling off to sleep and was not eating properly. The Teacher spent some time with her parents and found that they had also noted the same problems. So he sent her to us. After examining her, we found that she was quite severely malnourished - Grade III - the cause - Worms and the misfortune of being born a girl! Treatment was simple, but the time spent with the parents counselling them was very productive. The teacher is very happy with Sunita's progress and he has told me that she is now active in class, interested in her subjects, active and mixing well with all the others. 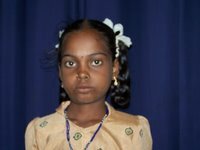 The teamwork and close cooperation between the health and education centres has been able to help out this poor girl child. 26 Cataracts operated in Madanapalle - "Words can not express our gratitude to Dr TN Krishna Reddy and Dr Shobha Naveen, who operate on our patients at minimum cost." 2 Deliveries: Thanks to Dr Asha Neeraja at Madanapalle - one of whom had Pregnancy Induced Hypertension, Intra Uterine Growth Retardation as well as prematurity - the mother and kid are doing fine - that both survived is a testament to the skills of the doctor as well as the nursing staff and to top it all guess how much it cost LSCS + Incubator care = Rs 6700/- only. Can you believe it - who says that quality health care can not be provided at low cost. The end of September was also a time to reflect and take stock of what had transpired in the past 6 months - a 6 monthly review of sorts - while our patient numbers are impressive (7202 patients from April, 113 Cataracts operated upon, 8 deliveries, including 2 LSCS, no Infant or Maternal deaths), the fact is that we are struggling financially. A 100,000 rupees in the red, god knows where the money is going to come from. Also we desperately need money to build a waiting room for the patients - the trees providing the only cover at present. That is going to cost us another couple of lakhs. Anyone willing to help??? Another month goes by and one is confronted with patients of all types, some near the end of their thether, having gone from pillar to post seeking succour,mostly in vain. In spite of having been in this profession for more than 20 years, disease and death are not easy to get used to. The poor flock to our centre, seeking professional advise and possibly the right kind of treatment - Iatrogenic Poverty is a major issue with ruthless practitioners out to fleece the poor, ignorant public of what little money they have. So also inappropriate therapy, treatment modalaties, unnecessary surgeries all in the guise of medicine and serving the sick - Whither art thou Hippocrates??? Well the health centre goes on - We saw 1441 patients, did 17 cataract surgeries and 2 Dacryocystectomies and delivered 2 babies both above 2.5 kg. Considering that we started with 1.8 kg, this is quite an achievement. In the adjoining phot you can see a child being nebulised in our centre. I am sure that the paediatricians would say - it is not the mostideal of circumstances - I agree - but something better than nothing. Anyway, this child went to a "paediatrician" with c/o fever of less than 2 days duration. No investigations were done and the "good doctor" started him on - hold your breath - Inj Amikacin, Inj Cefatoxime and Inj Metrogyl - wow - should take care of everything!!!! Well the child did not recover and having spent a couple of thousand rupees and in debt with an interest rate of 4% pm (48% pa),they came to us. Examined the kid and found Heaptosplenomegaly with a Hb 7 gm%, Pl Vivax, TC 6200/cumm, S Bilirubin 2.8 mg%, with conjugated hyperbilirubinaemia - Simple - Treat with Chloroquin 10 mg/kg and child was afebrile in a day and was doing well. Unfortunately Child developed Hyperactive Airway Disease with LRTI and is now on treatment for the same. Am sure that the child will recover at the soonest. The busy month of July came to an end and boy did we struggle. 1551 patients - in 12 working days - work that out! Ouch just looking back at it makes me dizzy. 32 Cataracts and operated upon in July - that itself is some sort of a record. No h/o - Nausea/Vomiting/Haematemesis/Cough/Fever/Unusual swellings/Non healing ulcers. How will you proceed - remember this is a primary care setting. Total Bilirubin: 2.15 mg%, Direct 1.55, Indirect 0.60 ??? NOW WHAT - Patient has disappeared and we are trying to trace him. Are we looking at a TB etiology??? severe respiratory distress. Clinically he was febrile 40 C, tachypnoeic (RR > 45/min), BP 90/60 and falling, Abdomen was tense with guarding in the Rght upper quadrant, Trachea shifted to left with absent movements and breath sounds in the Right Hemithorax. An erect plain film confirmed the clinical findings. We suspected an Amoebic Liver Abscess which had burst upwards. We stabilised him with IV fluids, IV antibiotics and transferred him immediately to St Johns Medical College, where > 2.7 litres of pus was drained. A pigtailed catheter drained for a week. He is now better though there is a residue of Right Lower Lobe atelectatsis, which should improve with chest physiotherapy. Venkataramanama, aged 9 presented to us with progressive loss of weight, anorexia, nausea, early fullness, easy fatiguability and multiple lymph nodes (axillary as well as cervical). Clinically she was febrile 38 C, marked pallor, firm, tender nodes 1.5 x 2 cm size. Her abdominal findings were classical - Doughy abdomen, with dull note on percussion, diminished bowel sounds. This was enough to come to a diagnosis of (1) Disemminated TB (2) Grade 3 Malnutrition. We have started her on Anti Tuberculous Treatment with adjunct steroids, nutritional supplements (basically stuff like jaggery, ragi, fenugreek, spinach, drumstick leaves, sprouts) and am happy to report that she is doing well. She is now 4 weeks into the treatment and her Hb is 9 gm%, apetite has markedly improved, weight has gone up to 15 kg. We are hopeful that she will recover well enough in due course. Watch this space for progress reports. Am back after a long time. As promised here is a monthly update on the Health Centre Activities. We had closed for a much needed vaction from Mid April - Mid May and now we are back in TOP GEAR - cruising along seeing upwards of a 100 patients in the OPD. We also had a number of unusual as well as interesting cases over the last few weeks. Will be putting these up with pictures in the next couple of days. Hey guys we are hard up here - ANY HELP???? 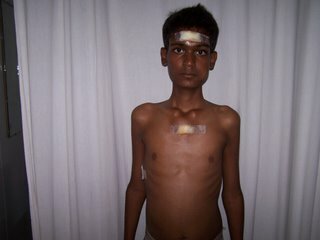 Khadarvalli - 17 years presented to us with multiple sub cutaneous abscesses of 01 month duration. Mnay of these abscesses had been repeatedly drained at private nursing homes in Madanapalle - Guess what - none of the aspirates or fluid was ever sent for pathological examination. and found AFB in the aspirate. St Johns Medical College further confirmed the Diagnosis and after surgery to drain all abscesses he was put on Cat I treatment. Suffice to say that he is doing very well. Siddamma - Age 15 years - was suffering from Rheumatic Heart Disease, Mitral Regurgitation and Stenosis. She was under medical management for 5 years. However she progressively developed Cardiac Failure and a superadded Fungal Infection of the Lungs. 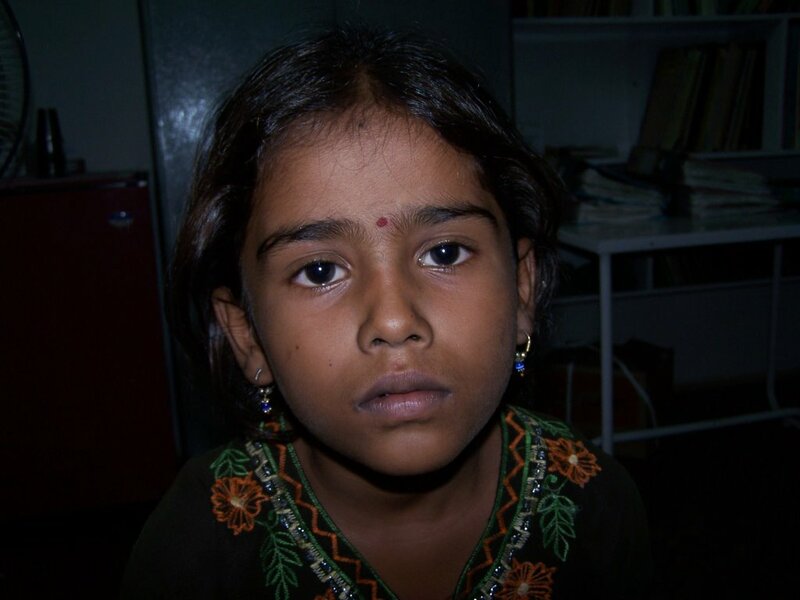 She was admitted at NARAYANA HRUDAYALAYA in Bangalore where her condition was stabilised and successfully operated. She is now doing well. 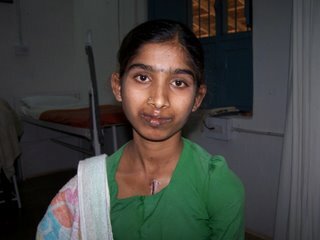 We wish to thank all those donors who helped in her surgery. This year past, saw an exponential growth in the number of patients seen at the Health Centre. From 7400 to 11400 was an unanticipated increase, which, stretched our resources, human, financial as well as psychological to almost breaking point. It is never easy working day in and out with the poor. People pour into the centre seeking succour for their illnesses. More and more complex diseases, long standing conditions – crippling them, drive the poor into deeper debt. Most times we arrive at a working diagnosis- THEN WHAT? - The levels of poverty in our country are frightening, many cannot even afford a bus fare of Rs 50/- which will get them to Bangalore and a tertiary care centre, forget about meeting costs of investigations and treatment. One wonders what will happen to the Rural Poor in this age of globalisation, privatisation and exploitation. The centre saw 11532 patients as compared to 7481 in the year 2004-05 and 6351 in the previous year. This increase in 4000 patients was unprecedented. We found that affordability and quality of service rendered were the two most important components in the decision amongst patients to come to the health centre. 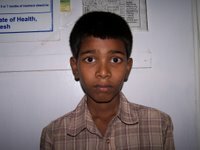 The Manmohini Kaul Charitable Medical trust partly funds the subsidy on treatment for patients. The programme went forward another step when we were designated a Vision Care Centre by LV Prasad Eye Institute of Hyderabad. A Humphrey’s Frequency Doubling Test Instrument to measure visual fields was installed in November 2005. It has proved a boon for the early diagnosis of field defects, particularly those caused due to Glaucoma. 142 cataracts, 6 Dacryocystectomies and 4 Iridectomies were done at subsidised rates to the poor. In addition 28 patients with incipient Glaucoma were picked up thanks to the FDT instrument. I am glad to report that all patients are doing well. AGAMA India partly supports this programme. SILOAM eye hospital, a branch of LV Prasad Eye Institute, in Madanapalle, has started doing Cataract Surgeries at a nominal cost for our patients. This is in addition to those surgeries being done at a subsidised rate in Satya Eye Hospital, Madanapalle by an ex-parent of the school. But as with any of our programme, lack of adequate funding remains the biggest constraint. The programme continues to be partly funded by the SIDVIM trust. The linkage with the RNTCP has proved to be beneficial, with a number of patients benefiting from access to Government supplied free medicines. Our laboratory has been recognised as a DESIGNATED MICROSCOPY CENTRE under the RNTCP. What is worrying, however, is the growing incidence of HIV positivity amongst our patients. SIX of our TB patients were found to be HIV positive, one dying within a month of starting treatment. Providing Anti retro viral agents remains a pipe dream. Most of our effort is directed at counselling, the affected person as well as the family members in accepting the disease. The ante – natal programme continues doing well. There is a greater awareness amongst pregnant women on the need for regular ante natal checks. The lost to follow up is probably because of a number of home deliveries which do not get reported, in spite of our best efforts. An increasing number of women with multiple pregnancy losses, Bad obstetric history, are accessing our centre for the following reasons (i) comprehensive work up (ii) personalised guidance and counselling, (iii) close monitoring of the ongoing pregnancy (iv) liaison with Fetal Care Research Centre, Chennai and (v) support of a committed Obstetrician (Usha Speciality Hospital) at Madanapalle. The Community Diagnostic Centre has more than proved its usefulness to us. Not only does the centre cater to the constantly growing needs of the Health Centre, but it also provides diagnostic services to the children of the school. The charges are nominal, covering the cost of chemicals as well as salaries and maintenance. Hence, patients are able to afford the cost of investigations done here. On 16th Feb 2006, the 2nd anniversary of Dr V Ramamurthy’s demise, his family and friends presented the Health Centre with an Ultrasound. Both of us are feeling our way into this new area and will start using it once training and licensing procedures are completed. We are sure that this machine will prove to be of a great benefit to us. 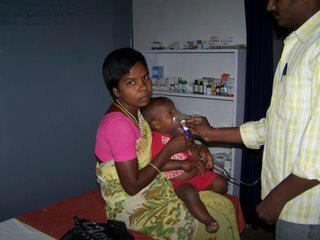 On 16th Feb, 2006 MMKCMT conducted a Paediatric Camp at the RHC. About 40 children benefited from the services of the visiting paediatrician. 33 patients with eye ailments were seen and 10 of them operated for Cataracts. With an aim at finding out the incidence/prevalence of Hypertension, Diabetes and IHD amongst the rural poor, the Health centre in collaboration with Monash University of Australia, has just started a one year epidemiological survey, covering a population of 5000. We would like to take this opportunity to thank one and all for their support to the Rural Health Centre. A full list of patients who have been treated at Tertiary Care Centres will be put up on the blogspot at the soonest. We look forward to your continuing support in the years to come. Please look at www.rvrhc.blogspot.com for our funding requirements. Semi Auto Analyser for Laboratory. 1. All cheques/drafts to be drawn in favour of Rishi Valley Rural Health Centre. IT exemption u/s 80 G is available. 2. The RHC also has a tie up with ASHA for Education in USA, which will route cheques for us. Thank you for having taken the time and patience to go through this appeal. I do hope that you will consider our appeal favourably. Please feel free to revert to me with any questions.